There is a lot to look forward to with the CIF Swimming and Diving Championships taking place this week (May 11-16) at Riverside City College. Fans are bound to have new faces to consider among local area talent following the loss of Kyle Coan and Kyle Gornay, both who were Los Angeles News Group’s male swimmers of the year, due to graduation last year. On the girls side, back-to-back Female Swimmer of the Year for the Los Angeles News Group, Sonia Wang, is no longer with Upland High School and is swimming for JSerra High. 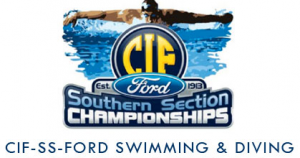 Some new faces we may hear a lot could come from Los Osos, who will look to win its third consecutive CIF Team Championship, Rachel Forbes and Brian Whittington. Both of which had impressive showings at the Baseline League Finals Meet.